In the southern part of the province of Verona in an area called “ Bassa Veronese”, one of the most prestigious types of italian rice is produced. This type of rice is called the Vialone Nano Veronese and it is the first of its kind to achieve the European Union. The “‘Rice Road of the Rice Vialone Nano Veronese” is another interesting area in the southern part of Verona, where this tasty rise is cultivated. The surrounding nature is very nice and the rice fields and maze of small canals dominate much of the landscape. I propose a cultural, gastronomical itinerary along the Rice Road of the Rice Vialone Nano Veronese, where it is possible to visit an ancient Ricery ( which is a rice-producing farm ) and taste the Risotto al Tastasal, which is a local dish, that can be made only with this type of rice. The towns along the rice road, such as Buttapietra, Isola della Scala, Sorga’ and Nogarole Rocca, are rich in history and traditions. There is also much evidences of the past such as villas, churches and ancient monuments spread over the whole area. On this special tour, we will take you to the Southern part of the province of Verona where a particular type of rice Vialone Nano Veronese is cultivated. 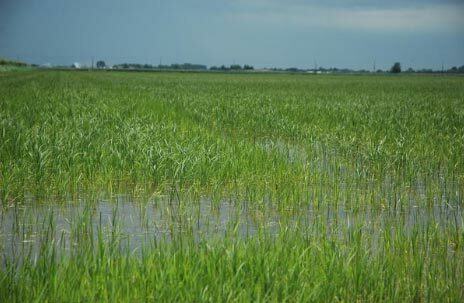 This rice species is the main ingredient for the famous Risotto. We will drive through this interesting landscape of rice fields bordered by small canals, where you can learn about the history and cultivation of Italian rice. In the rural Villa "The Antica Pila", you will have an explanation of the cultivation of rice. If interested in addition to this tour at the Pila Vecia restaurant, a professional chef can give cooking lessons with a live demonstration on how to make the famous Risotto (special Italian dish made only with our local rice). 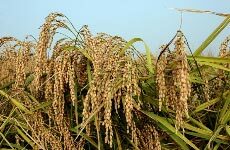 Tour through the paddy fields around Isola della Scala and visit to Riseria Ferron, a traditional rice production farm. It is possible to organize also cookingcourses in a private Villa or agriturismo in the Valpolicella wine district. You can have there a demonstration of how to cook the risotto with Amarone or how to make pasta or even the veronese Gnocchi (potato dumplings served with parmesan cheese and tomato sauce).